Filmhuis Den Haag, the Corporate Bodies Film Festival and the Lighthouse Cinema of The Hague University of Applied Sciences (THUAS) have joined forces to create a unique opportunity for all you film-loving, curious and critical souls out there that are looking for new perspectives and challenges – an evening of watching and talking film! On the 17th of November the Filmhuis Den Haag opens its doors and invites you to enjoy a one-of-a-kind night! 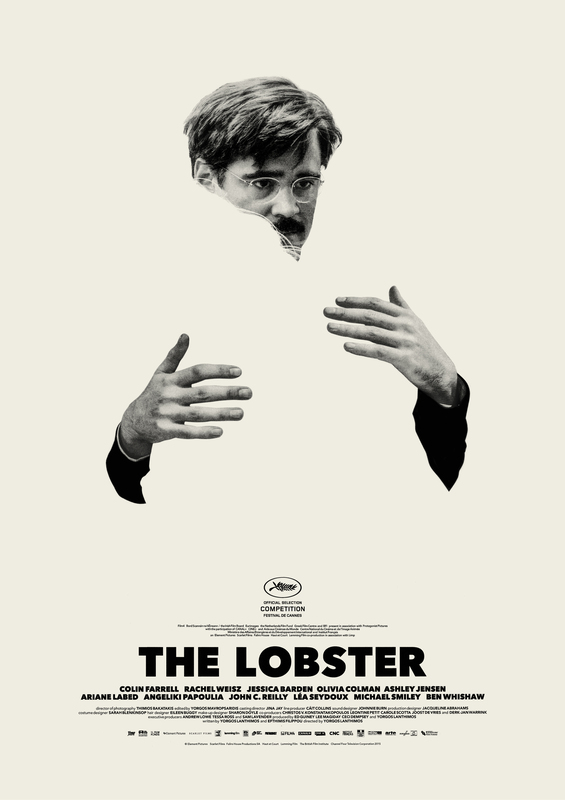 Not only by showing the recently released, widely discussed and critically acclaimed feature film The Lobster, but also by being taken away into another world: that of film, critical thinking and discussion. For those that will be thirsty after sharing their thoughts and ideas, no worries; there will be free drinks waiting for you after the screening (and what better way to continue talking film than with a drink?). The Lobster is a 2015 international science fiction comedy drama film directed by Greek director Yorgos Lanthimos. In a dystopian near future, single people, according to the rules of The City, are taken to The Hotel, where they are obliged to find a matching partner in forty-five days. If an occupant manages to find a partner among others, the new couple is given a month to try to live together in a special section of the facility, after which they are freed. Failing results in being killed and reincarnated in an animal of own choice, and sent off into The Woods surrounding the structure. The film was selected to compete for the Palme d’Or at the 2015 Cannes Film Festival and won the Jury Prize. By now you may be wondering how to take part in this amazing event? Well, apart from coming to the Filmhuis Den Haag on the 17h of November, there is one other step, signing up for your free ticket (your wallet will be thankful!). Simply send an email to corporatebodies@gmail.com, stating your first and surname. One ticket per person. One minor detail: only students and staff members of universities (of applied sciences) get to apply for a free ticket. Don’t hesitate too long; places are limited! By the way, there’ll be no reason to be sad when the evening’s over. Why? Because this is just the beginning. In February, thanks to the Corporate Bodies Film Festival many more magical movie moments will take place. ​ Filmhuis Den Haag is an open and inspiring location that’s all about love for film. We are open 364 days a year for film and more. And of course at the heart of it all, the best films, all day long on the big screen. CORPORATE BODIES is a biannual film fest on life in organizations, its bright and its dark sides, its people, its possible futures and heritages, its spectacles and bare lives, its hopes, dreams, its games, lusts and greed. Introducing you to everything you wanted to know about film and organisation but were afraid to ask your boss. Coming up on 11-13 February 2016 at Filmhuis Den Haag with discussions, lectures, thinking, eating, drinking, dancing, relaxing, and more. The Lighthouse is a beacon in The Hague University of Applied Sciences: a place that attracts and invites, and a catalyst for connection and collaboration with each other and with the community. Our square is to be the central meeting place where knowledge can be shared, ideas can be exchanged and inspiration can flourish. So many fantastic things take place at THUAS that are not always visible to us or the outside world. The Lighthouse creates new, open spaces around the square, which can be used for lectures, presentations, exhibitions, discussions, debates and workshops. Later on, we will also be able to use these spaces to experiment with educational innovations, supported by state-of-the-art facilities and the possibility to share research projects and results. In a nutshell, The Lighthouse is a natural gathering place. The Lighthouse Café is perfect for receiving guests, holding informal work meetings or simply getting some work done while enjoying a good cup of coffee. Students and employees are warmly welcome to take full advantage of all these new possibilities.